(2015). Investigation of fullerene (C60) effects on chemical properties of Metoprolol: A DFT study. International Journal of Bio-Inorganic Hybrid Nanomaterials, 4(4), 249-254.
. "Investigation of fullerene (C60) effects on chemical properties of Metoprolol: A DFT study". 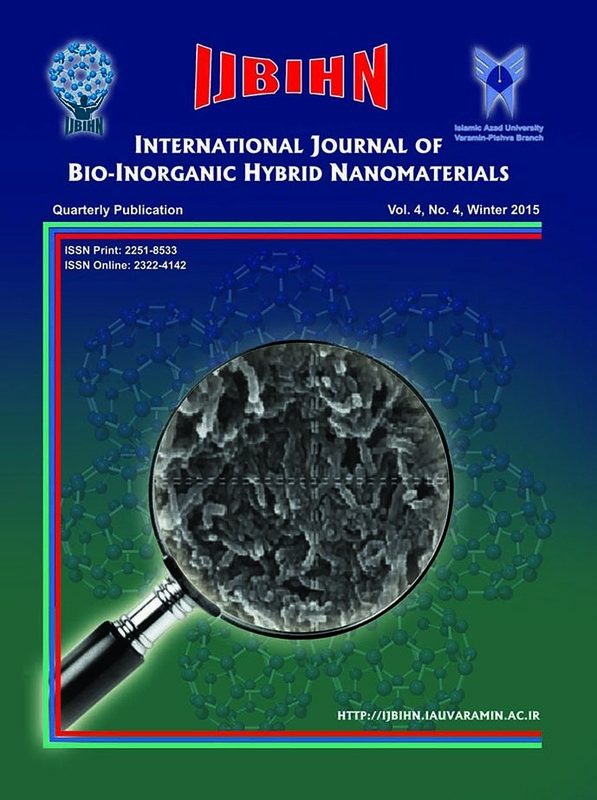 International Journal of Bio-Inorganic Hybrid Nanomaterials, 4, 4, 2015, 249-254. (2015). 'Investigation of fullerene (C60) effects on chemical properties of Metoprolol: A DFT study', International Journal of Bio-Inorganic Hybrid Nanomaterials, 4(4), pp. 249-254. Investigation of fullerene (C60) effects on chemical properties of Metoprolol: A DFT study. International Journal of Bio-Inorganic Hybrid Nanomaterials, 2015; 4(4): 249-254. In this research at the first Metoprolol drug and its fullerene derivative were optimized. Natural bond orbital (NBO), nuclear Indepndent chemical shift (NICS) and finally IR calculations, for these compounds were carried out at the B3LYP/6-31G* quantum chemistry level. Different parameters such as energy levels, the amount of chemical shift in different atoms, the amount of HOMO/LUMO, chemical potential (μ), chemical hardness (η), Thermodynamic properties were determined. Metoprolol is the generic form of the brand-name drug Lopressor, prescribed to treat high blood pressure. In this study we used fullerenes, as nano drug carriers, and Fulleren drevatives of Metoprolol drug were studied. The data in Tables and graphs and shapes were compared and discussed.